Beyond optics offers Escon connector and Escon cable meeting IBM system requirements. Escon was invented by IBM company as a channel connection architecture with the intent of improving connectivity by incorporating fibre optics into a network. ESCON used to connect a wide range of peripherals to IBM mainframe computers, the architecture supports data communications at a speed of 200Mbps. ESCON cables are available with both single mode and multimode; Escon cable is born a duplex type. The feature of ESCON connector is that it has a shock proof plastic housing with a retractable shroud to protect the ceramic ferrules inside the connectors.ESCON connector has two 2.55 mm ceramic ferrules and a robust strain relief design. Escon connector is a Retractable Shroud Duplex (RSD) and can be supplied as terminated patchcords or pigtails. 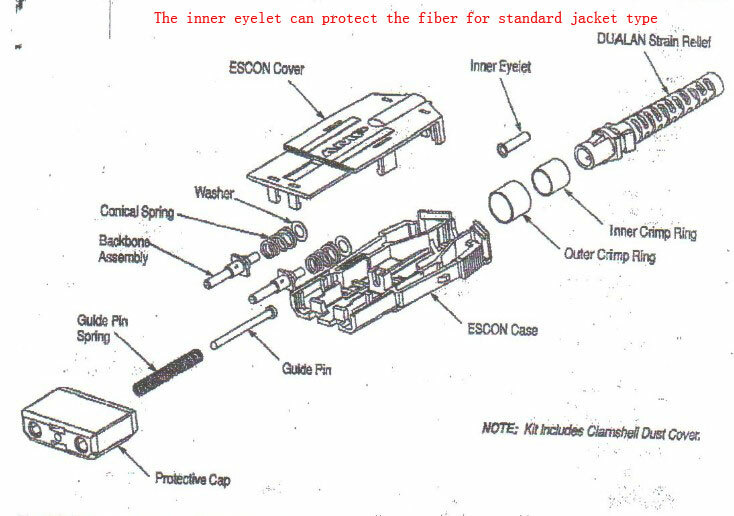 Please contact us for a drawing of optical escon connector. ESCON connector is similar to FDDI connector, but ESCON connector contains a retractable shroud instead of a fixed shroud. 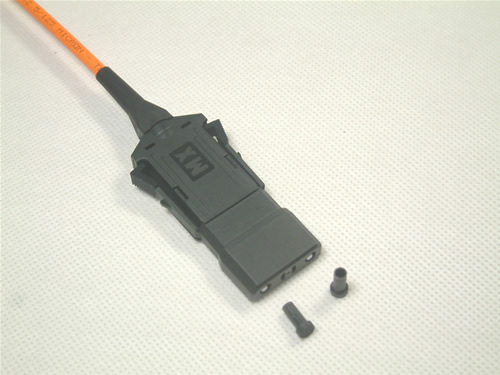 We supply escon connector , escon cables,Contact us for a data sheet and quotation.